Complementing my daily blog interviews, today’s Author Spotlight, the ninety-second, is of author A J Race. A high-strung, type-A personality, LGBT rights activist and twenty year old multi genre author, A.J.Race first found his love of books and writing with the Harry Potter series in 2001 after the first film came out in the fall of that same year. Growing up A.J. had not been much of a reader, in fact the first chapter book he’d ever read was at the behest of his fourth grade teacher, and it was in his fourth grade year that he really found a love for reading. In 2002 he wrote a short story that at the time he had been convinced was an entire novel, and sent it off to a major publisher. This was his first experience with rejection. Over the course of the next nine years A.J. experienced many rejections in his writing career. 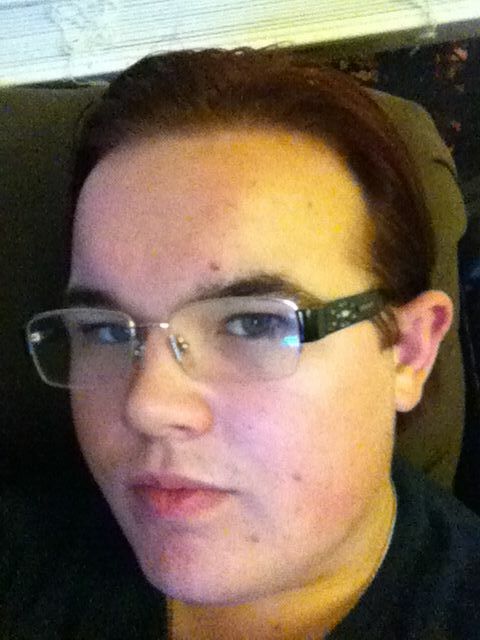 Then at the tail end of 2011 A.J. Rejoined NaNoWriMo.org (National Novel Writing Month) and in a matter of 30 days re-wrote one of his original novels: Bridge of Memories. In December of that year, one of his good friends offered to design for him a hand drawn cover while his former creative writing teacher offered to edit his book for him. On February 12, 2012 the first novel in the Secrets of Witches Trilogy Bridge of Memories was released to the public. I’ve always wanted to be a writer ever since I was twelve years old. Up until that point I hadn’t even been a big reader so the idea that I could be a writer had never really occurred to me. After of course I’d read the first four Harry Potter novels all within a few months of each other, and while I was waiting for the fifth, I decided that I really couldn’t wait any longer and I had to write my own story. So I did, I wrote a fifty page short story about a serial killer who the C.S.I. could never catch, and who was eventually killed by his own victims. I really thought it was an amazing story, and people told me it was an amazing story, in fact the next year during fifth grade we were required to do monthly writing assignments, and so for October we were supposed to do a scary story so, I decided to shrink the story down a bit, and submit it and the teacher looked at me and she said, “Did your mother help you with this?” That for me, will always stand out in my mind as the moment when I really first new, that this is what I wanted to do for a living. Nothing else could possibly feel better than this and so I really spent the next few years writing constantly, reading about writing, reading about publishing, how to get published, how to get an agent. I probably had at least a thirty different books on writing and getting published by the time I was fourteen years old. I knew this was for me. This is what I wanted. Unfortunately I also knew that this was a difficult industry to break into and that if I wanted this, I was going to have to fight, and never give up. Over the course of the last decade or so I’ve probably received well over a hundred rejections, some just by never responding to me and some by flat out telling me that it wasn’t for them; it was hard at first to stomach. I hated being rejected because I wanted it so badly and I couldn’t understand why they didn’t like the story or the query letter as the case almost always was. As I got older the rejections became easier to take until by the end I was just like, clearly this route isn’t working for me. I had debated self-publishing about a hundred times since I was thirteen and I’d first heard about it. Back then there was still a lot of stigma with self-publishing and so I was kind of scared to actually do it. And I’m glad that I didn’t… Waiting until I did proved to be incredibly beneficial. I got an amazing cover out of it and an amazing editor and people are responding positively to the book because of it. And I’m incredibly proud of what I put out. You can find his book via: CreateSpace, Lulu and Smashwords. 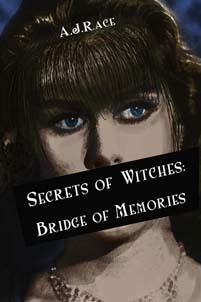 Secrets of Witches: Bridge of Memories is also available on Barnes and Noble nook and Amazon Kindle. Finally, you can email him at cultofracewood@gmail.com. The blog interviews will return as normal tomorrow with novelist Sherry Jones – the three hundred and ninety-sixth of my blog interviews with novelists, poets, short story authors, biographers, agents, publishers and more. A list of interviewees (blogged and scheduled) can be found here. If you like what you read, please do go and investigate further. And I enjoy hearing from readers of my blog; do either leave a comment on the relevant interview (the interviewees love to hear from you too!) and / or email me.